ADG Interiors offers award-winning interior design services for an exclusive multinational clientele. These comprehensive services range from large-scale space planning to the selection of FF&E. Through collaboration and a proficient understanding of space and materials, the team has crafted exceptional modern-luxury designs for a large number of projects, most notably executive office towers, hotels, and residences. 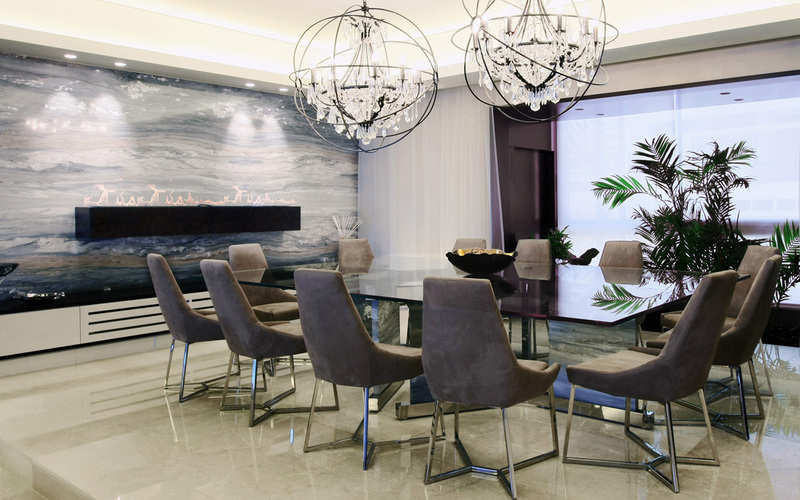 ADG Interiors distinguishes its style as “modern luxury”, in which contemporary design, layouts, and furnishings are fused with lavish and exquisite materials. The team merges their spatial and decorative understanding with the client’s taste and wishes to design distinctive interiors that embody the seemingly opposite characteristics of opulence and simplicity. Accent DG is an architecture design consultancy, creating innovative designs for Lebanon and the Middle East. Home Construction, based in Riyadh, carries out high standard engineering and contracting for projects throughout the KSA. DOM Magazine - "M apartment"
3rd Fl. Bldg Nb 3. Gouraud St.